I recommend that you don’t believe me or any of the hype surrounding coconut oil, I sure didn’t, until I tried it for a while. My first experience with it went like this; I was curious about it, so I bought some, I used it, and nothing really happened. The end, or so I thought. If you are already very healthy with no major issues to deal with, then your experience with coconut oil may be very subtle, or you may find out that your digestion, skin, hair, nails, etc. are nowhere near what they could be with the right nutrients. If you are overweight, lack energy, have poor digestion, high cholesterol and fall into most other categories associated with the average American, then you will often experience DRASTIC and life changing benefits from using coconut oil on a daily basis. To me, one of the best gifts coconut oil users receive is not directly from the coconut itself, but because coconut oil can replace so many health and beauty products and even some medications, people will be absorbing 100’s to 1000’s of less chemicals and man-made “products” everyday. That is huge when you read about some of the side effects of these ingredients. I don’t want to make coconut oil sound like it’s heaven sent or going to cure cancer, although it may be and might. My job is simply to filter through as much info and misinformation as possible, and then report back with intelligent summaries and ideas based on my experience, my client’s experiences, science and the latest research. That said, coconut oil is proving to be as good as all of the hype touts it to be. But first, most of us need to let go of the thoughts that saturated fats are bad for us, clog arteries and increase cholesterol. You can read more on that here and here. Once we learn the true science behind saturated fats, we can have some faith that they won’t make us fat, and will actually help our metabolism, reduce inflammation, improve heart and digestive health, lower cholesterol and much more. If you become brave enough to try this super fatty, taboo food, then the benefits will most likely be right around the corner for you. Remember, the more tools you use to improve your health, the less opportunities disease has to grow in your body. *Coconut oil generally has no unhealthy side effects, so it can be used as often as needed and for as long as the applicant finds necessary. *We are talking about pure, virgin coconut OIL here, not coconut flakes, water and the like. * A little bit goes a loooong way with coconut oil. Lubricant. Yes, you know what I’m talking about. Sun treatment. 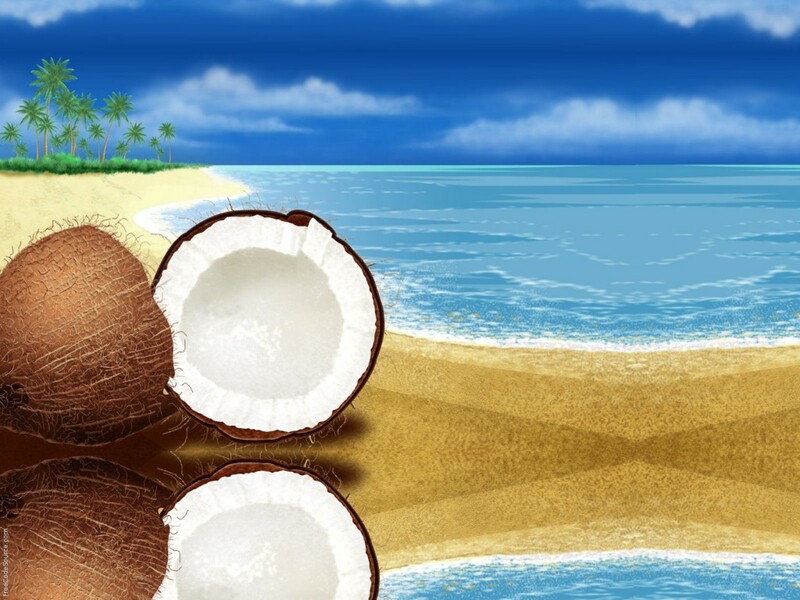 After being out in the sun coconut oil is known for soothing the skin, as is aloe vera. Coconut oil has great antioxidant properties and helps heal the cells and tissues. Because of the lipid barrier (a layer of fat) that it provides over your skin, it locks in moisture and blocks some of the sun’s damaging rays. It is an anti-infammatory, anti-bacterial and anti-viral substance for the body – especially in the gut and Crohn’s disease. Read more. It can help hypothyroidism and thyroid function, especially when coconut oil replaces the use of unsaturated fats. This combination will increase enzyme production and promote the conversion of T4 to T3 hormones in the liver. Stress relief. Massage into your forehead and around your temples, the smell is very soothing and the health benefits plentiful. Protects against heart attacks, atherosclerosis, high blood pressure and strokes. Heart disease, stroke, and atherosclerosis account for nearly HALF of all the deaths in the United States. Coconut oil and its medium chain fatty acids (MCFA), especially lauric acid, destroy both the bacteria (Helicobacter pylori and Chlamydia pneumonia) and viruses (cytomegalovirus) that are most commonly associated with atherosclerosis. In Sri Lanka, where coconut oil has been the primary dietary fat, the death rate from heart disease has been among the lowest in the world. It helps diabetes and stabilizes blood sugar levels by encouraging the secretion of insulin from the pancreas. Read more and more. Increases bone and teeth strength. Coconut Oil improves the body’s ability to absorb minerals such as calcium and magnesium, which are needed for the development of bones. Coconut oil can be used as a kind of liquid bandage because of its antimicrobial and antiviral properties. Application of coconut oil accelerates the process of wound healing. It is very safe to apply on small cuts and wounds. Apply it to an infection and it will form a chemical barrier and help heal your wounds. It can also be applied on bruises to help speed the healing process. Reduces the tendency to form blood clots . HIV and Cancer – it is thought that coconut oil may help HIV and cancer sufferers become less susceptible to viruses. Helps digestive problems and regulates bowel movements. Lowers cholesterol. Natural, nonhydrogenated coconut oil tends to increase HDL cholesterol and improve the cholesterol profile. HDL is the good cholesterol that helps protect against heart disease. Has the potential to treat skin conditions like eczema, psoriasis and dermatitis. The antifungal properties of coconut oil can also be used to prevent foot fungus like athletes’ foot, and treat ringworm and diaper rash. Coconut oil’s anti-inflammatory properties make it a treatment option for the pain and itching of hemorrhoids. Strengthens the body’s immune system. Massaging foot with coconut oil helps to soften cracked heels and increases the beauty of the foot. 23. Leave in hair conditioner. Massage coconut oil into your scalp to revive limp hair and to rid the scalp of microbes that can harm your roots. Use the oil as is, and leave in your hair for at least an hour and then shampoo it out to remove the oiliness. 25. Helps reduce lines, scars and wrinkles in the skin. The Coconut Research Center claims it can help prevent age spots, sagging skin and wrinkles. 28. Improves the condition of your hair. Rub some on your scalp before a shower to prevent and treat dandruff. Mix some in your conditioner to help moisturize it, or put some on the ends of your hair to keep them healthy. 29. Coconut oil is a great moisturizer and body lotion. Apply it to your body anytime or after a bath or shower to help lock in moisture, combat wrinkles, skin discoloration, and the effects of sun damage and aging. 30. It makes a great lip balm. 31. Great as a massage oil and cuticle oil. 32. You can make a body scrub out of it by mixing it with sugar or salt. 33. Makes a good makeup remover. Coconut oil is the most stable oil and has a long shelf life, plus contains many antioxidants. It aids digestion and helps in the absorption of vitamins and minerals. It contains less fat than other cooking oils, and the fat it does have is easily converted into energy. Coconut oil can be used for baking, frying, eating off the spoon and stir-frying. Coconut oil is solid when it’s stored below 76 degrees Fahrenheit. When solid, it can be used as a substitute for shortening or butter. 34. Mix in smoothies (1tsp-1 tbsp). 35. Sauté veggies (not so good with onions and garlic though). 36. Whip into sweet potatoes, hot or cold. 37. Use as the oil base for cooking popcorn. 38. Use instead of butter to cook pancakes. 39. Eat right off the spoon. Check out many more recipes here. They both have their benefits above and beyond any other type of coconut oil. The centrifuge extracted oil has the highest % of the healthy fatty acids, while the cold-pressed has the highest amount of micro-nutrients from the coconut. Real instructive and great complex body part of subject material, now that’s user friendly (:. I have never had that problem because I dont have any content im worried about people stealing. I want people to spread my material. the best I have found out so far. However, what about the bottom line? My pleasure! Do you mean Wilderness Family Naturals? Because they are great. My clients and I have used them for years now.